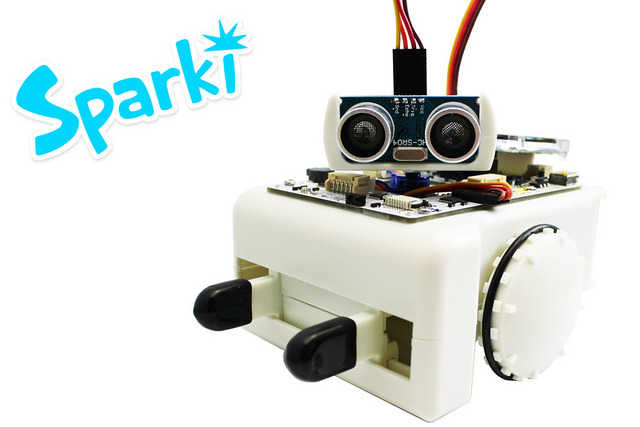 ArcBotics’ Sparki is an affordable, easy to use, and fun intro to programming, electronics, and robotics. 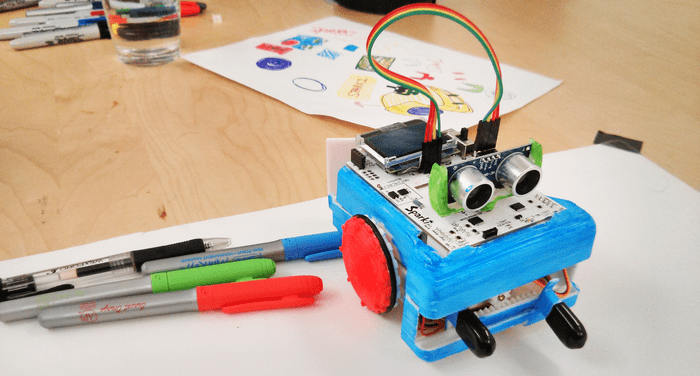 It is an open-source, Arduino robot designed for students late-elementary age and above that comes pre-assembled and packed with 12+ sensors and features like remote control and drawing. 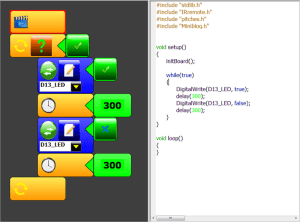 It has two programming environments: SparkiDuino, based off Arduino; and Minibloq, a drag-and-drop program like Scratch. Sparki’s lessons are free and frequently expanded. Great for families, STEM/robotics/programming educators, and DIY enthusiasts looking for a feature-packed platform. Sparki is being used in classrooms and homes in more than 50 countries. It has been featured on Fast Company, Boston Globe, MAKE, Kickstarter Staff Pick, and more. Call to educators: We offer special educator discounts! 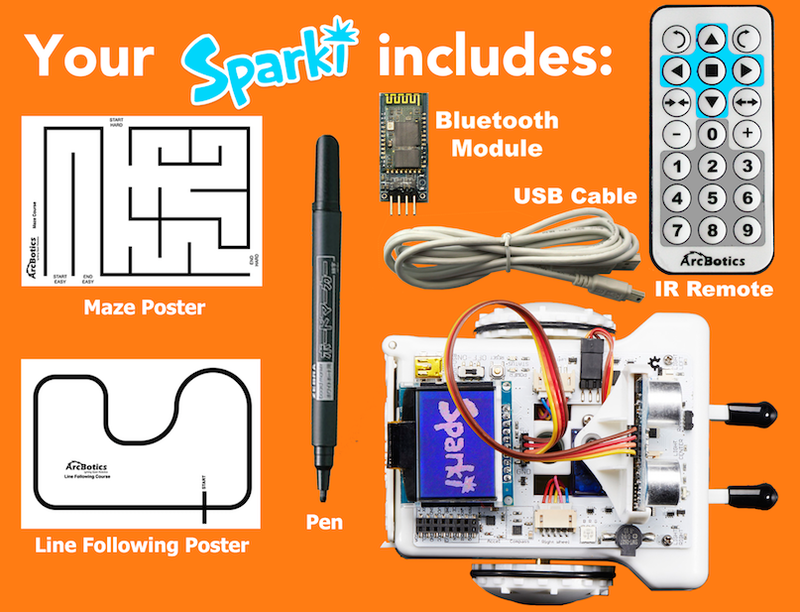 Please contact us athelp@arcbotics.com with how many Sparkis you would like to purchase and some information that allows us to verify your status as an educator so we can send you a discount code. If you are interested in using Sparki in your classroom, please contact us at help@arcbotics.com. We welcome you to join our community as a case study classroom. Educators globally ranging from the US, Norway, Malaysia, Mexico and more have already signed on as ArcBotics case study classrooms. We always welcome feedback on our curriculum and robot design and would love to work with you. Sparki is ArcBotics’ answer to robotics in education. After our first successful Kickstarter for Hexy the Hexapod, a low-cost open-source Arduino robot designed to be an intro to advanced robotics, we were approached by many who asked, do you have anything for beginners? When we looked around, we saw that other educational robots were very expensive, difficult to use, lacked features, or had closed designs. 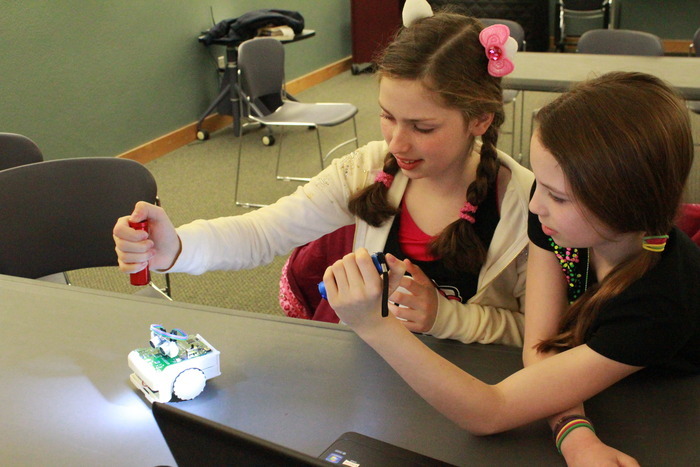 However, we know that the interest in programming and robotics from people of all ages is enormous. So we thought, why not design an adorable new robot that lets people of all ages enjoy robotics, while offering them a wide range of possibilities, and – most of all – is fun? Based on pilot-class testing of Sparki with late elementary to middle school aged children, as well as extensive experience teaching Arduino classes to kids and adults alike, we have developed tutorials for Sparki, all available for free (CC Attribution licensed) and frequently expanded. 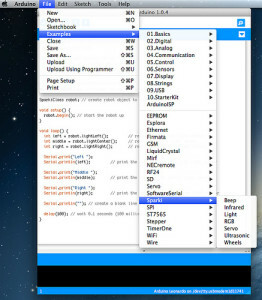 Sparki’s code is available in SparkiDuino, based off Arduino (C/C++); and Minibloq, drag-and-drop graphical programming similar to Scratch. All our code and accompanying lessons are free, open-source, and frequently expanded. We offer both kinds of programming, because we believe the combination of both allow students to get started at the level they are comfortable. Many parents and educators have told us that younger children may prefer to start learning programming graphically through a software like Scratch, and ultimately will need to graduate to regular text-based programming. This is why our drag-and-drop programming shows the underlying code alongside each drag-and-drop figure to allow for an easy transition when your learner is ready to take the leap to text-based programming.